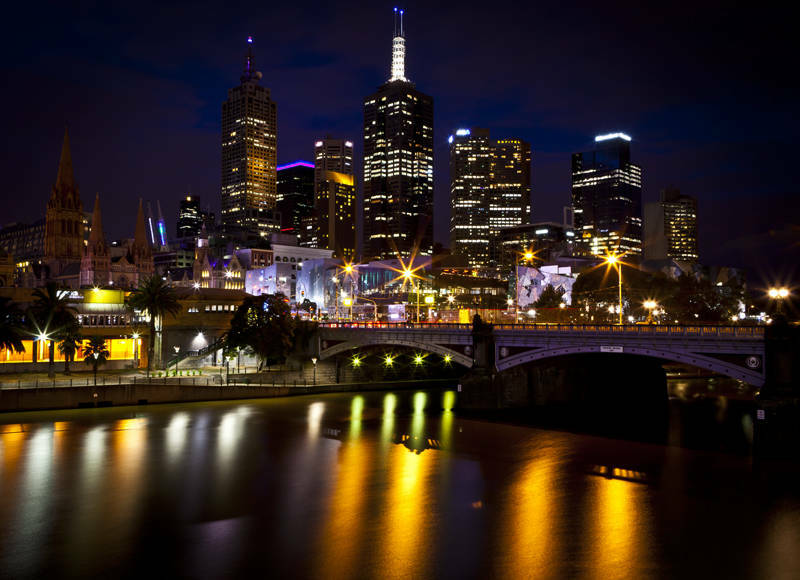 I took this shot of the Melbourne Skyline last night. As all Australia’s cities are on water I tried to get the same type of shot I have for Perth and Adelaide. Maybe I will publish an Australian Skyline calendar with all the cities in it. We decided to go in on a Sunday as it was the best chance to get free parking near the city. We parked near the Kensington train station and as it was a nice evening we chose to walk into the city. After taking this shot we wandered around the city for a while and found a very reasonably priced place to eat called Equinox. We are now back at our usual truck stop between Melbourne and Geelong and are making the daily pilgrimage to nearby libraries to use their free internet and look for work. I got a response from one today. Its a freelance photography position for the Australian National Construction Review. They seemed more interested in the quality of my camera and if it had a full frame sensor than if I knew how to use it. So its lucky I upgraded to a Canon 5D Mark II before I left for Australia or they would not have offered me the job.